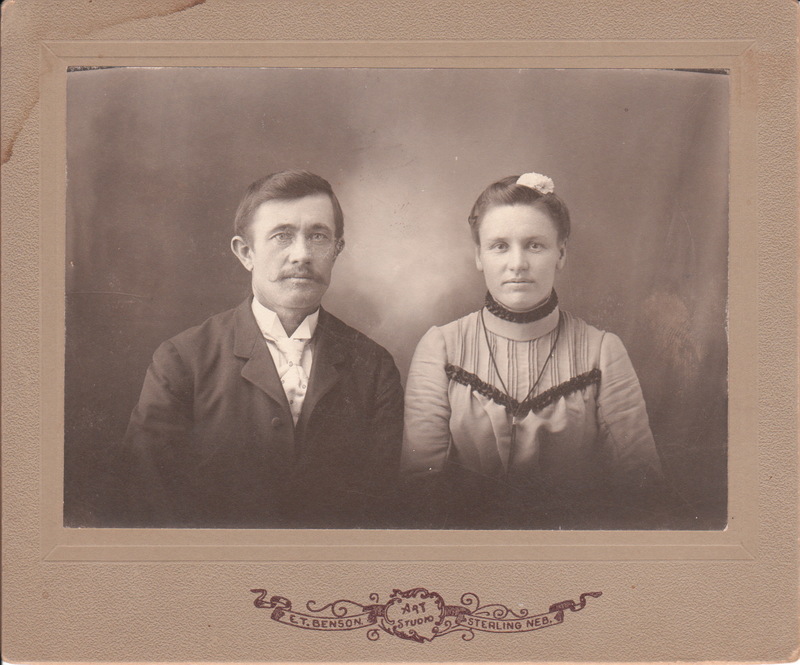 A young wedding couple is the subject of this cabinet card portrait by E. Pokorny. Note the bride’s white gloves and the groom holding his hat and gloves in his left hand. The photograph was taken at Pokorny’s studio in Jicin, Czechoslovakia. Jicin is a town in the Hradec Kralove region. It is located about 85 kilometers from Prague. This cabinet card photograph is in very good condition. This cabinet card wedding portrait features an attractive and well-dressed couple. The bride is beautiful. She has a bouquet of flowers on her lap and she is wearing a crown of flowers along with her veil. The bespectacled groom has a boutonniere on his lapel and is wearing pince-nez eyeglasses. The photographer of this wedding photo is V. Teichmann who operated a studio in Bernau, Germany. Bernau is a town in the Barnim district and is located about six miles northeast of Berlin. This cabinet card photograph is in very good condition (see scans).